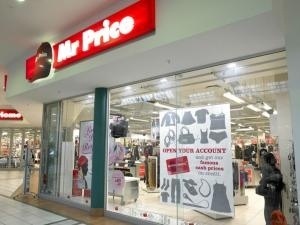 Johannesburg – South African discount retailer Mr Price failed to impress investors with a 15 percent rise in third-quarter sales on Thursday, reflecting the lofty expectations for one of Johannesburg’s most expensive stocks. Mr Price, which sells clothing and household goods, said sales growth for the three months to end-December rose 14.8 percent, helped by strong growth in its apparel division. The company also said it added a net 34 stores during the period, bringing its network to 1,075 stores. Its shares fell 1.8 percent to 160 rand on Thursday. After a thunderous rise that has seen its stock increase more than six-fold in the past five years, Mr Price is one of the 25 most expensive stocks on the 165-member All-Share index. Some analysts have said they see little immediate upside for the stock, given its price-to-earnings ratio of around 24. Retail sales in Africa’s biggest economy are likely to remain constrained by slow growth and high levels of household debt, analysts and economists say.